RateTiger offers hospitality technology solutions providing real-time business intelligence, rate shopping, channel management, online distribution and reservation delivery capabilities. 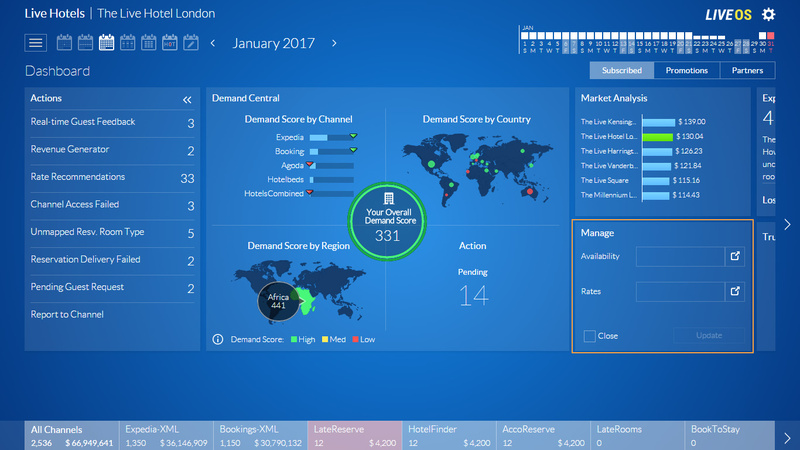 Expand your hotel online visibility and boost your revenue with the best channel manager in the market. Connect to over 350 distribution channels including global and regional OTAs, Wholesalers, Metasearch, GDS, Tour Operators, Booking Engine etc. One of the most stable Channel Manager in the market offering 99.9% system uptime and security certified under ISO, PCI and GDPR, RateTiger provides hotels with a seamless channel connectivity platform. Easy to use dashboard, intuitive features, regular product updates, 24x7 support, RateTiger offers a vast network of volume-producing distribution channels including popular global and regional online travel agents (OTAs), offline tour-operators, specialist, discount and niche sites, metasearch engines, GDS, booking engines and wholesalers along with advertising, e-commerce, marketing and social channels. 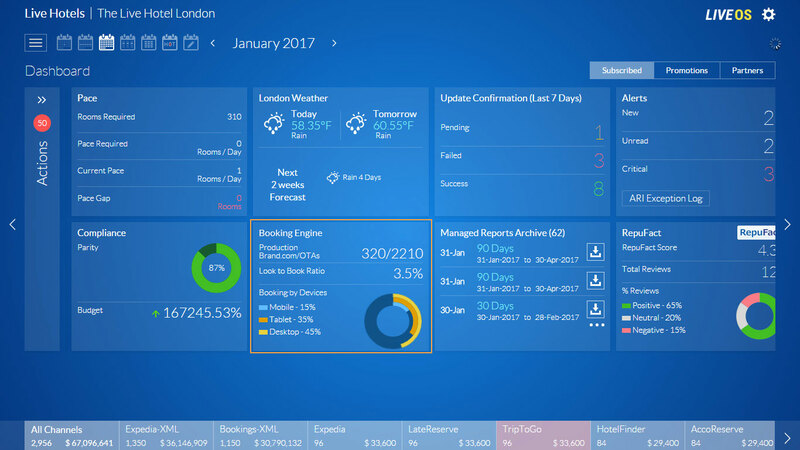 Improve your hotel revenue with better room rate and yield management - all from a smart single interface. Take complete control of your revenue management and inventory distribution strategy to control distribution costs and drive direct bookings. Monitor your channel performance and booking productivity by employing the best online sales partners to maximize your revenue potential. Automate your inventory distribution completely and improve the yielding of every room in the hotel. Automatic notifications when allocation on one of your extranets is 'Low' or 'Sold Out'. Prevent overbooking and offer 'Last Room Availability'. Pull Reservation Data from eRevMax certified travel agents. Reservation details with room type from the channel will be delivered directly to your PMS with reservation room type. Generate consolidated reports of all reservations delivered from your sales channels into your PMS/CRS. Monitor the room booking and cancellation status for the current date, last 7 days and last 30 days from the dashboard. Distribute on over 500,000 travel agents worldwide with GDS connectivity. GDS Distribution is an add-on service available with RateTiger Channel Manager to make real-time rates and inventories adjustments across all 4 GDS – Pegasus, Worldspan, Sabre, Apollo. Manage metasearch channels just like any other OTA from your RateTiger or RTConnect dashboard. Connect easily to Kayak, TripAdvisor, Google Hotel Ads, Trivago, WeGo and many more. Compete with your live rates to bring more direct bookings. Add social media sites like Facebook and eBay to your distribution strategy. Rate Shopper is a comprehensive yet easy to use hotel rate intelligence solution. 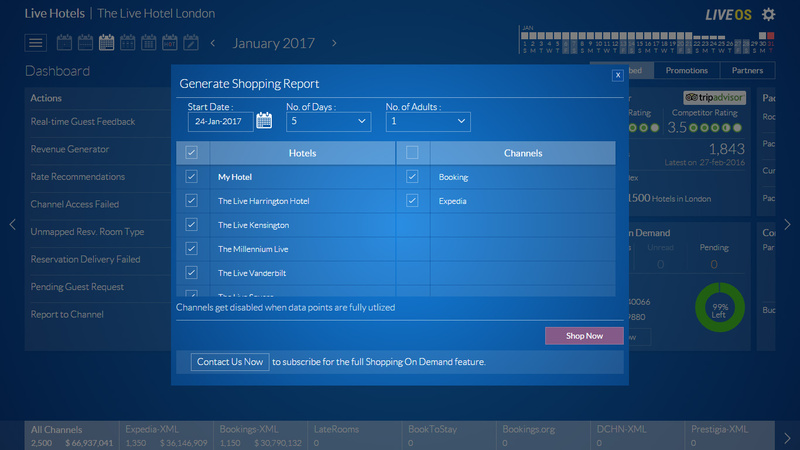 It enables you to check your room rates are accurate across all channels while analysing room rates of your competitive set and rate positioning across multiple hotel websites, third party sales channels and online travel agents (OTA). Stay on top of your rate strategy and that of your competitors across multiple online sales channels. Get notified whenever your competitor makes rate changes. Use rate shopping data to maintain rate parity and rate integrity across third party websites. Connect rate data with your Revenue Management System (RMS) for improved efficiencies. Get scheduled or on demand rate reports from RateTiger's hotel rate shopping software. Optimize your position by comparing competitor rates across four major GDSs. Stay ahead with smart rate management and intelligent rate positioning. Our dedicated support team will cheerfully help you through any questions or bumps that might come up. Increase your hotel's direct bookings with RateTiger Booking Engine, powered by LiveOS. Get maximum revenue from each room sold. Stop worrying about high commission fee and enjoy benefits of unlimited direct bookings. A powerful online booking system provides seamless guest experience. Convert lookers into bookers to expand your business. Increase direct sales and maximise booking opportunities. Customized responsive website design for better engagement to drive conversions. Organic, local and destination search engine optimization for maximum exposure. Proactive and personalized social media marketing turning guests into loyal ambassador. Manage metasearch channels just like any other OTA from your RateTiger or RTConnect dashboard. Connect easily to Kayak, TripAdvisor, Google Hotel Finder, Trivago, WeGo and many more. Compete with your live rates to bring more direct bookings.